The Heart Ministry Center today announced plans to change its client clothing assistance services, effective March 30. Going forward, the focus will shift from a clothing closet to a clothing assistance program coordinated by the Center’s case management team. The new approach will better enable the Center to focus its efforts on services that more closely align with both clients’ needs and the organization’s goal of helping clients to find a way forward. The Center has long maintained a clothing closet accepting all clothing donations that have been used primarily to outfit individuals for survival. The new direction encourages self-sufficiency by providing clothing for clients to wear to job interviews and to help them dress for job retention. While the Heart Ministry Center is moving away from the collection of used clothing beginning March 23, new or gently used coats, children’s items and shoes will still be accepted. 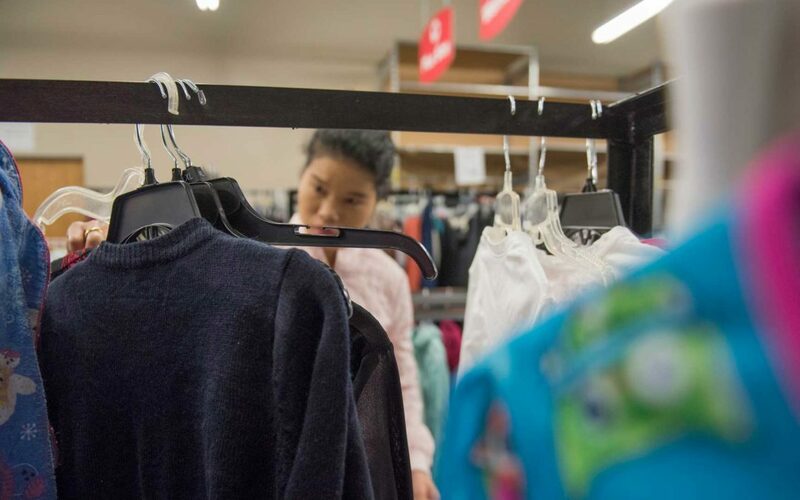 The case management team will now work directly with SVPD, Goodwill, Salvation Army Stores, ReRuns R Fun, Walmart and Target to ensure that clients in need of clothing will still be able to obtain the items they need.